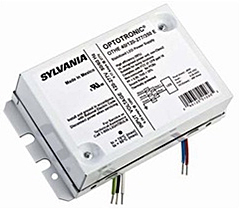 The Optotronic 100W, a 24-volt Class 2 output power supply at 100 watts, allows increased flexibility for applications with limited space. It is suitable for damp locations and can operate on 120-volt through 277-volt supply currents, which will extend its functionality in a variety of applications. Its shape and size are similar to a T8 fluorescent ballast at 9.5 inches long, 1.68 inches wide and 1.17 inches high, making retrofit installations as seamless as possible.